Pamper yourself with our luxurious oil infused Champagne Kisses Bath Bomb. The citric acid and baking soda combination creates the fizzing sensation while the coconut oil and Vitamin E Oil moisturize. 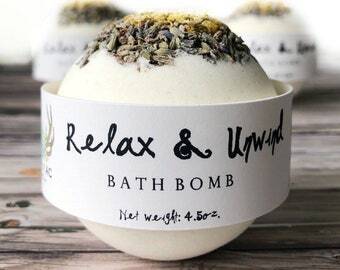 Lovers of the ultimate relaxation and all things girly and feminine will love, love, love this Bath Bomb! (We sure do!) 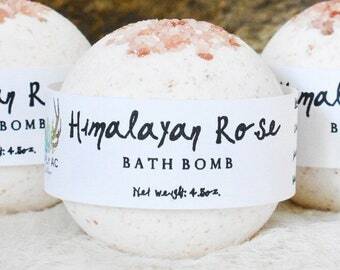 It is infused with Himalayan Sea Salt which is one of our favorite ingredients to use. 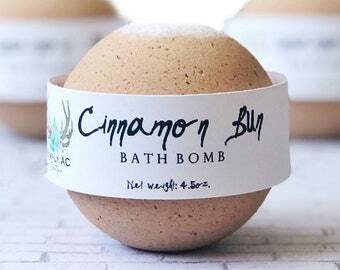 It has a super high mineral content making it great for your skin! 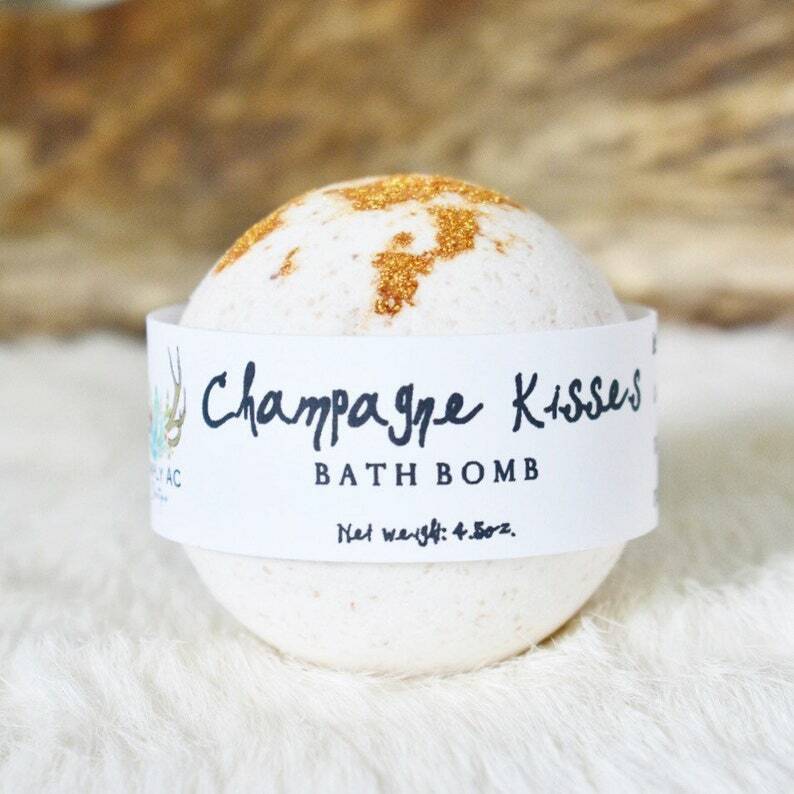 Gold cosmetic glitter will disperse in your bath tub as your bath bomb fizzes around you. 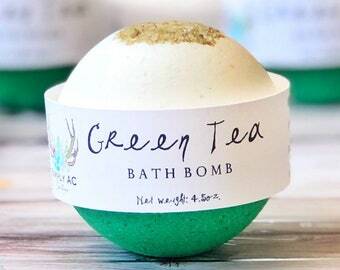 1 BATH BOMB at Approximately 2 inches in diameter (4.5oz), fizzing for just about 2 minutes. 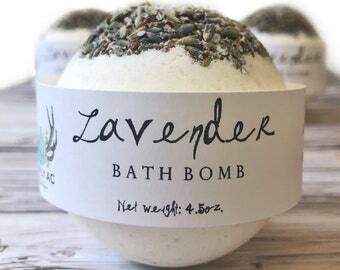 1 BATH BOMB weighing in at 10oz. We offer Wholesale pricing in Bulk quantities. 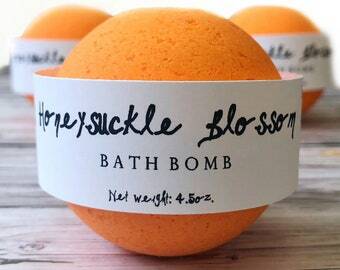 Please contact us directly regarding wholesale orders & fragrance list. Looking for a particular fragrance or odd quantity? Looking for gift wrapping? Just ask us and we can accommodate. Wonderful item, very nicely packaged. Would make a very nice gift! Very well packaged! 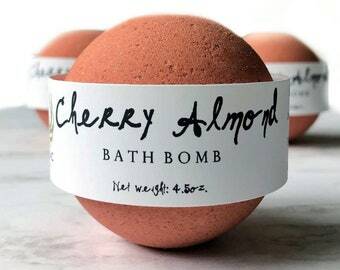 When I opened, I immediately smelled what I thought to be the best smelling bath bomb I've ever owned!!! LOVE LOVE them so much. We offer wholesale pricing on all of our listings- plus so much more! We have multiple avenues for wholesale purchases; Etsy wholesale, a custom listing on Etsy retail, or the use of PayPal invoicing. Are any of your products made with Essential Oils?